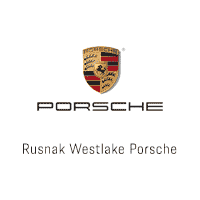 If you’ve been to Rusnak/Porsche Westlake lately, you’ll remember how our new inventory and showroom are filled with diverse selections of models for all Porsche vehicles, however, the Porsche Cayenne crossover SUV is especially prominent. So far, the Porsche Cayenne has been one of our top sellers and most popular vehicles for lease in Thousand Oaks. According to our clients, aside from the SUV’s stunning design elements and advanced technology features, the performance of the Porsche Cayenne is a big selling point for this luxury crossover. Thus, we took it upon ourselves to offer this driving review of the Porsche Cayenne right here in Thousand Oaks. The standard version of this vehicle features a 3.6-liter V6 engine capable of 300 horsepower and 295 foot-pounds of torque as well as a SPORT mode button for added performance in appropriate situations. Driving the Porsche Cayenne from our dealership and getting onto Highway 101, the smooth acceleration of this vehicle took us off of the on-ramp and had us zipping through traffic. We pulled off of the Highway and drove into the Santa Monica Mountains, where the torque and traction control of the SUV enabled us to climb steep mountain passes and hug tight corners with exceptional handling. The whole while we were driving, moreover, no one in the SUV noticed the slightest bumps from the road below; the ride was that smooth and comfortable. To test drive the new Porsche Cayenne for yourself, stop by our dealership today.